Aleksander Ramm was born in 1988 in Vladivostok (Far East of Russia). Since 1995 he studied in R.Glier Music School in Kaliningrad (cello). He finished F.Chopin Moscow music college (class of Maria Zhuravleva). In 2012 he finished the Tchaikovsky Moscow State Conservatory (class of Professor Natalia Shakhovskaya). At the present time he studies at the Berlin Higher Music School “Hanns Eisler “ (class of Frans Helmerson). 2003 – First prize winner of IV Moscow Competition of Junior Cellists (Moscow). 2005 – First prize winner of I Cambridge International Competition (USA). 2006 – Grand Prix at Moscow Festival of Romantic Music (Moscow). 2010 – Fourth prize winner of VI UNISA International String Competition (Republic of South Africa). 2010 – Second prize winner of III Beijing International Music Competition (Beijing, China). 2010 – First prize winner of I All Russia Music Competition (Russia). 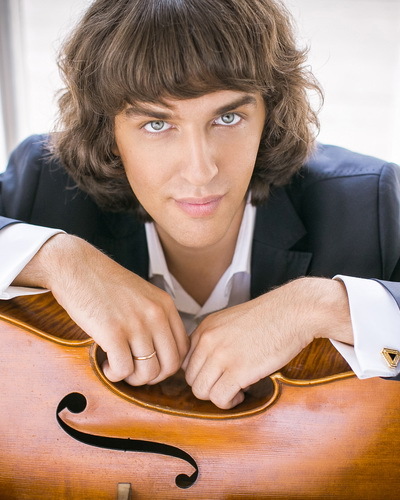 2012 – Fourth prize winner of V International Antonio Yanigro Cello Competition in Zagreb (Croatia). Aleksander has been performing at concerts since he was 9 years old. He performs as a soloist and accompanied by an orchestra. More than once he has performed in the Great, Small and Rakhmaninov Halls of Moscow Conservatory. In 2010 he attended festivals and master-classes of Courchevel Academy and Holland Music Sessions where he was coached by famous professors such as F.Muller, R.Lattsko, M.Cligel and W.Wizlem.